The Kelp Gull is one of the larger seagull species. Their beak is yellow with a red spot on the lower beak. The gull can take any position in the air. 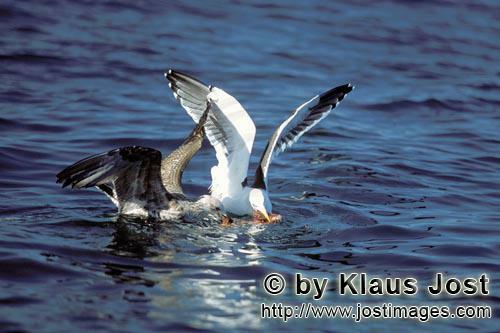 The Kelp gulls breed on the Antarctic Peninsula. They feed mainly on Antarctic limpet..